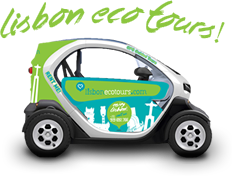 Lisbon Eco Tours is born of our passion for Lisbon! Feel the freedom to experience the beauty of Lisbon, in an Eco-friendly and Fun way! 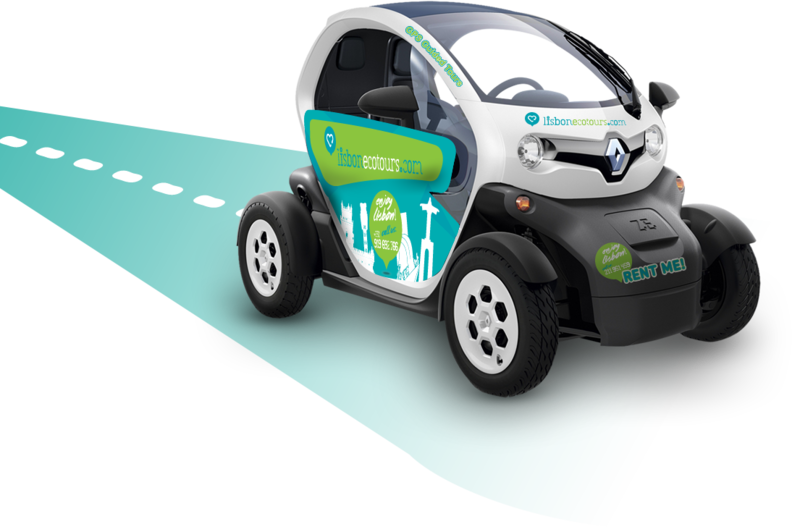 On board a Twizy, drive through the City of Seven Hills and hear the story of the Monuments, Places and Viewpoints, always oriented by our GPS Audio Guide, you will be able to comtemplate and listen along this journey at your own pace. 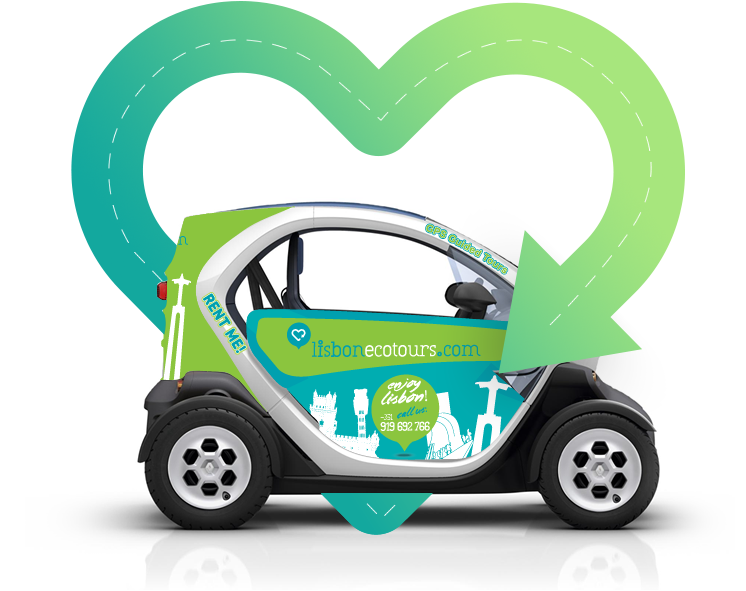 The Self-drive Tours, gives you complete freedom to stop at the picturesque locations of Lisbon, go on a tour at your own pace, this ecologic car speaks to you, and tells the stories, curiosities, secrets of Lisbon and its people, in a relaxing way! The GPS Audio Guide Multilingual allows guide you through the different predefined routes and at the same time explain the points of interest offering a wide range of tourist information, cultural, gastronomic and artistic interest. The GPS Audio Guide provides detailed maps, with indications of Streets, Monuments, Churches, Landmarks, Gardens and Viewpoints. Discover Lisbon with a GPS Audio Guide, which takes you in unique locations to photograph, in typical Neighborhoods and Viewpoints. Twizy is 100% Electric vehicle! The Twizy has capacity for 2 people and is very easy to drive and park. With automatic gearbox, provides maximum driving enjoyment. 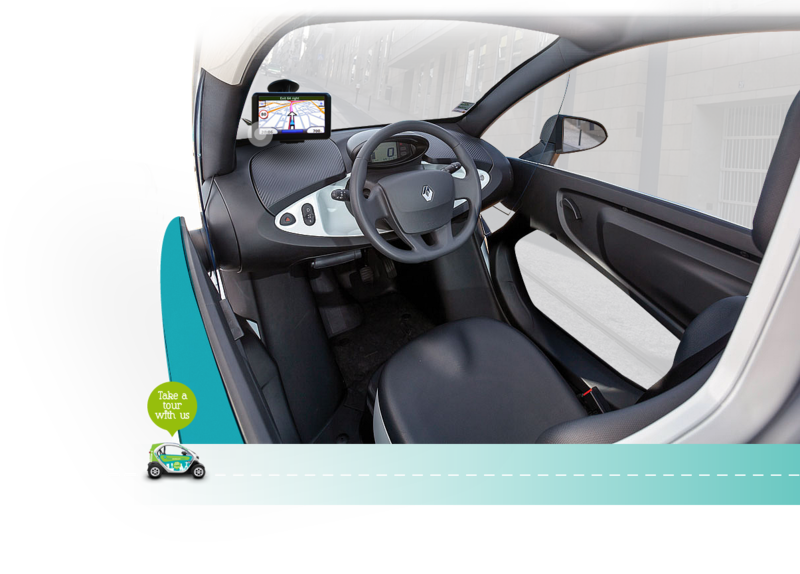 Have an autonomy for 100 km and the maximum speed is 85 km / h, reaching 50 km / h in 6.1 sec. The Twizy is electric with free parking and no fuel costs. Feel and fall in love with Lisbon,live a unique experience in a relaxed and ecological environment, without any pollutant emission and no noise, this small, funny electric car is the best way to visit Lisbon in a Sustainable and Eco-friendly way. Updating is easy, takes a few minutes and is totally free. Outdated browsers are a security threat and are making difficult the advancement of the web because of its limitations and many malfunctions. If you´re on a computer, which is maintained by an administrator and you can not install a new browser, talk to your administrator about it. If you can not change because of browser compatibility issues, try to install a second browser, and keep the old one to ensure compatibility. Os cookies são importantes para o correto funcionamento de um site. Para melhorar a sua experiência, o site Lisbon Eco Tours utiliza cookies para lembrar detalhes de início de sessão, recolher estatísticas para optimizar a funcionalidade do site e apresentar conteúdo de acordo com os seus interesses. Caso clique em Aceitar ou se continuar a utilizar este site sem alterar as suas configurações de cookies, está a consentir com a utilização dos mesmos durante a sua navegação no nosso site.